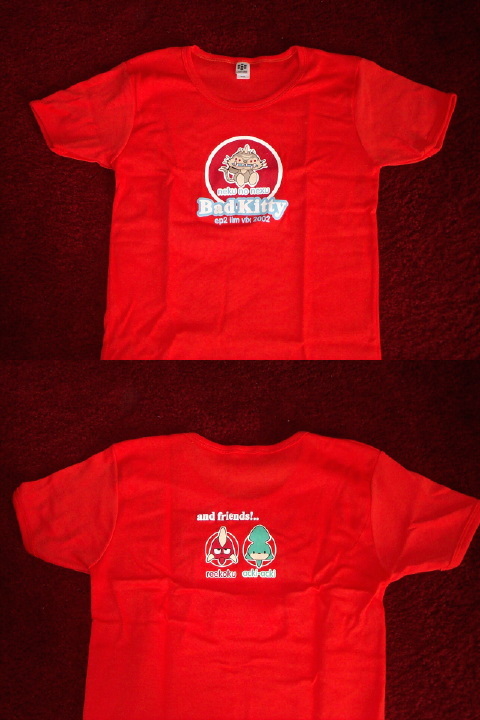 This "Bad Kitty" Nexu T Shirt is a parody of the Hello Kitty clothing and memorabilia. These were produced for the Industrial Light and Magic visual effects crews for Star Wars. The back features "Bad Kitty" versions of the other arena beasts from Attack of the Clones. This ladies version of this shirt is printed on a bright red t shirt.